**Special section below has stories discussing what may be the causes of this abnormal warmth over North America! Great article discussing the uncertainty in forecasting cloudcover..
Why is forecasting cloud cover so difficult? 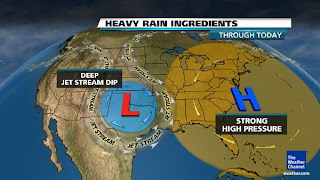 With a stationary storm system spinning over Texas, a cold pool aloft over the Midwest and abnormal warmth and humidity in the low levels, this combination of ingredients is harnessing the perfect environment for strong thunderstorms and flooding rains. 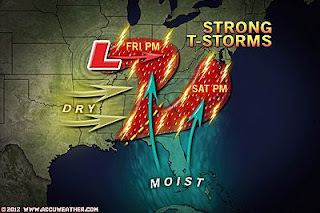 This slow going flow over the United States is behind the major rains seen across Texas, Oklahoma, Louisiana and other areas of the Mid-South. The cold, dry air flowing into New Mexico on the backside of the storm and warm and moist air flowing up from the Gulf out ahead of it has energized the storm itself and with varying wind directions with height within these constantly refiring, training thunderstorms have had spin to them, turning them into supercells in spots and those supercells have spawned some tornadoes. Read More! 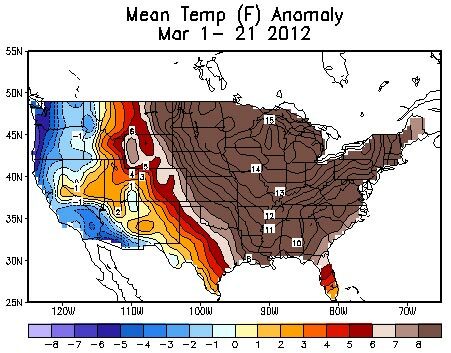 The March 2012 Heat Wave Has Been Exceptional By Why? Perspective: More than 6,000 Record Highs Set! 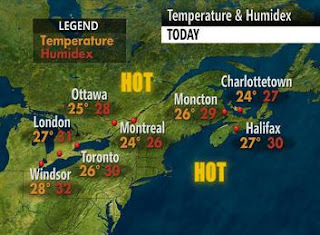 What’s The Cause For This Off The Charts Heat Wave? Epic March heat wave in Midwest, Great Lakes and Northeast: link to global warming? What’s Causing All the Warm Weather? 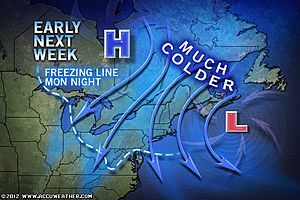 Daily video ‘Pointcounterpoint’ yesterday by AccuWeather.com Meteorologists Bernie Rayno & Ken Reeves discuss the abnormal water temps off the East Coast and possible reason for supporting such exceptional warmth. 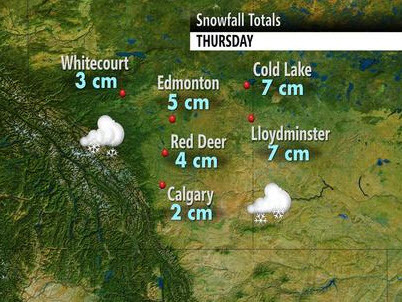 While It Was 28.4C In Windsor, Ontario, It Was Snowing Hard And -1C In Edmonton & Calgary! Alexandria Headland reported 120mm of rain within 1 hour yesterday!